Download the full Press Release in English or in French. 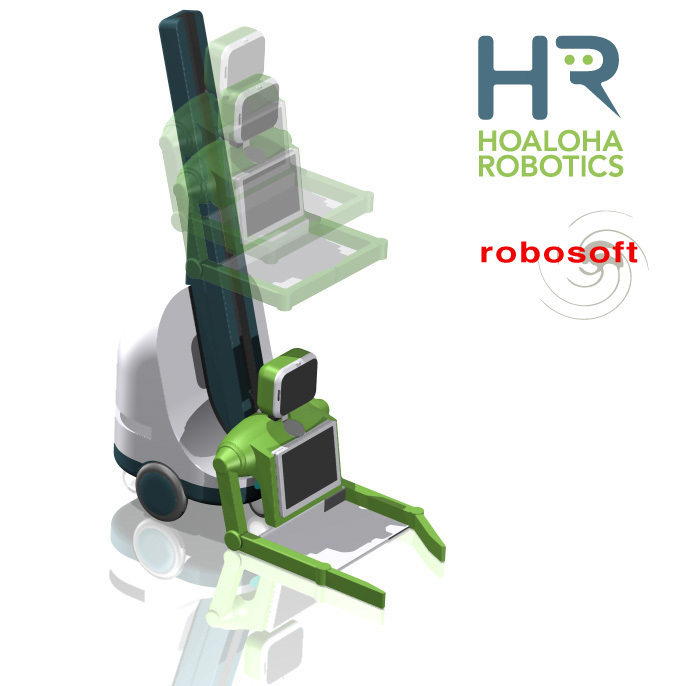 Seattle-Bidart, September 13th 2010: Hoaloha Robotics (USA) and ROBOSOFT (F) announce on an agreement to work collaboratively on the design of a socially assistive robot that can enable individuals who require assistive care to address the challenges to daily living that may come as the result of chronic illness, injury, or aging and empower individuals live more independently, with dignity, and at more sustainable costs. Congratulations! I wish you and Hoaloha well in your pursuit of this very needed type of robot. Please add The Robot Report to your press and other mailing lists and feel free to call or write. Great step forward and good luck for the future. http://www.gerontechnologie.net is the french web portal dedicated to gerontechnologies. I keep at your disposal for any further information you may need regarding this web site. From Tandy who was interviewed by Fox Business News today. I was most interested in the objective of your collaborative programme and our care home company in the UK called Flexi-Care UK Ltd (a wholly owned subsidiary of Jasmine Care Holdings) would be interested in discussing with you the possibility of additional co-operation from the care of the elderly perspective.